Raw is one of the main divisions in WWE. This article gives you more details about History of Raw. Names of all wrestlers in Raw is also quoted in this article. Championships and Champions of WWE Raw is also included in this article. Read this article full for more details. 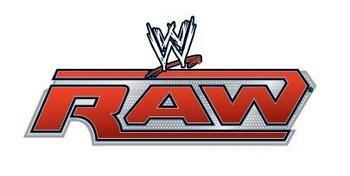 WWE raw is one of the best Sports entertainment in which most of the people watch this wrestling entertainment. The origin of WWE Raw comes from United States. WWE Raw was created by Vince McMahon. The production executive of WWE raw is Kevin Dunn and the producers of this program is Arn Anderson and Gerald Brisco. WWE raw is conducted once in a week. The first WWE Raw show duration takes one hour to complete. Currently the running time of WWE Raw is 2 hrs and 8 minutes per show. WWE Raw was earlier called as WWF raw. Raw was first telecast in television on January 11, 1993. Current WWE Raw Commentators are Michael Cole, Jim Ross and Jerry Lawler. Triple H is the current WWE Raw Chief Operating Officer. In India Ten sports is the official broad caster of WWE Raw. There are total 18 seasons and 949 Episodes completed in Raw. Wrestlers in WWE Raw has got lot of fans in the world. More details are given below. i like this post. My favourate WWE champion is John Cena.